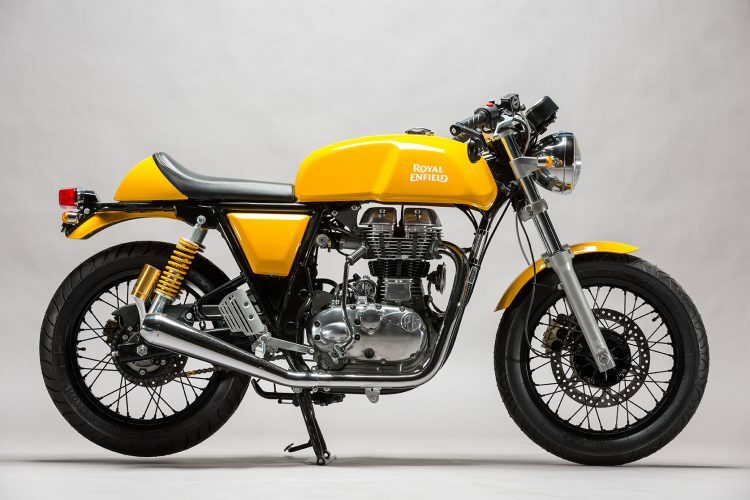 We built Fast Yellow to show what a difference a few changes can make to Royal Enfield’s already-classic Continental GT café racer. Since it was launched three years ago, the Conti GT has captured its own part of the café racer market. 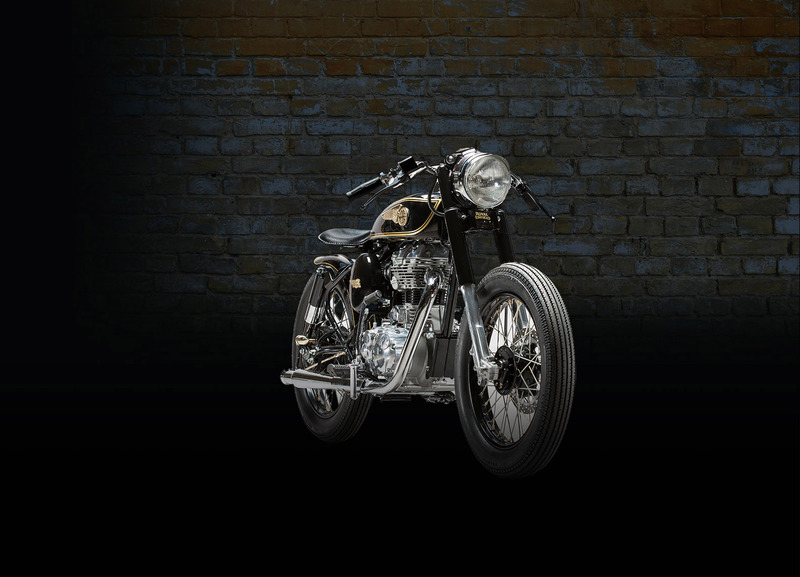 From the showroom floor it looks right and rides well, inspired by Royal Enfield’s own 1960s Continental GT. The frame was designed by UK-based Harris Engineering and provides a strong base for quality components from respected suppliers that include Brembo, Paoli and Excel. 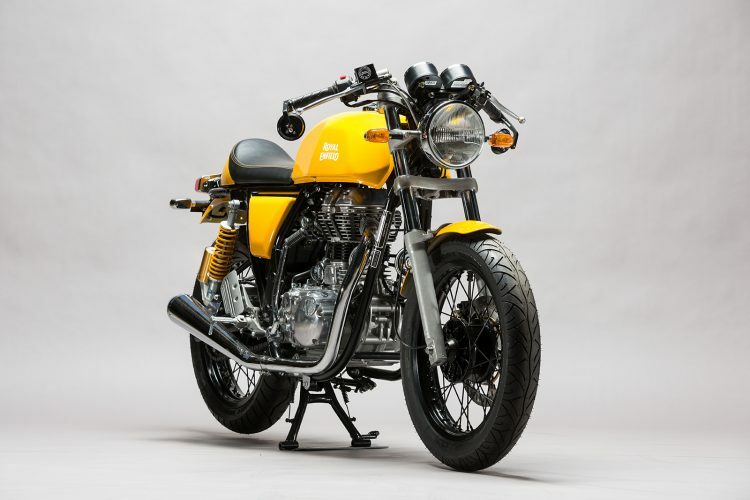 From there, we’ve tightened the classic cafe racer look, with colour-coded guards front and rear, some very retro-black powder-coated wheels, bar-end mirrors, a tighter rear end (you’ll have to ask…), and a classic reverse-cone megaphone exhaust that lets that 535cc Single breathe… and announce its arrival. We’ve already made performance improvements to several Conti GTs. Key changes include a custom exhaust, Power Commander, K&N filter and a dyno-developed ECU re-map to liberate a few extra horses and help the Conti 535cc single breathe better. Fast Yellow has the looks to match that improved performance. The black powder-coated Excel rims, colour-coded front and rear guards, black-bodied brake light and minimalist-but-effective bar-end mirrors give it that custom look to complement performance upgrades.